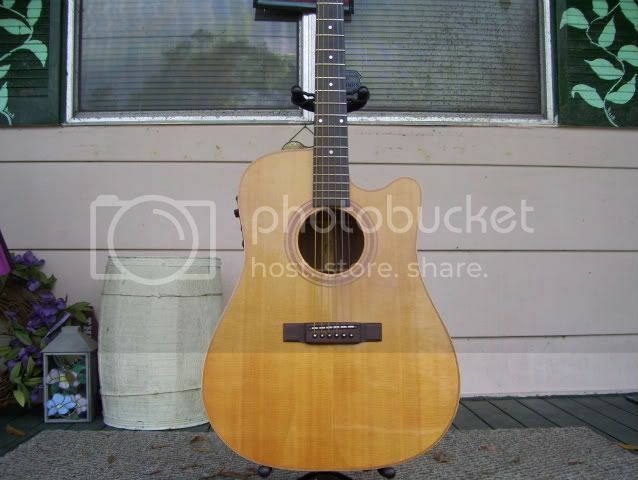 I just recently bought a Washburn D10CN acoustic/electric in China. It has no serial number on the label. Looks a lot like the D10SCE. Can anyone offer some info on this? D10= model, S=solid top,C=cutout,E= elec. N=natural finish. this is ALMOST always correct. Wonder why yours does not have the E. Also welcome to the forums. Tom. Thanks for the welcome and the info. Yes i'm baffled by the no E and I cant find any solid info online for this model name. When I google it I only get chinese shopping sites which do in fact offer this particular model. Since this is from there,it might be sold only there.Also Washburn customer service might be able to help,have you asked them? Tom. We do not have information on this model, it might be a model available exclusively only through the Chinese distributor. Unfortunately, we can't tell anything if there is no serial number on the instrument. Wonder why yours does not have the E.
Nowhere on the neck-block does it have the letters CE. You might find the serial number on the neck-block, inside the body. Did you look there?